Hamilton Public Library now offers access to immediate, over-the-phone interpretation services in more than 180 languages. Get help with library services in your language. 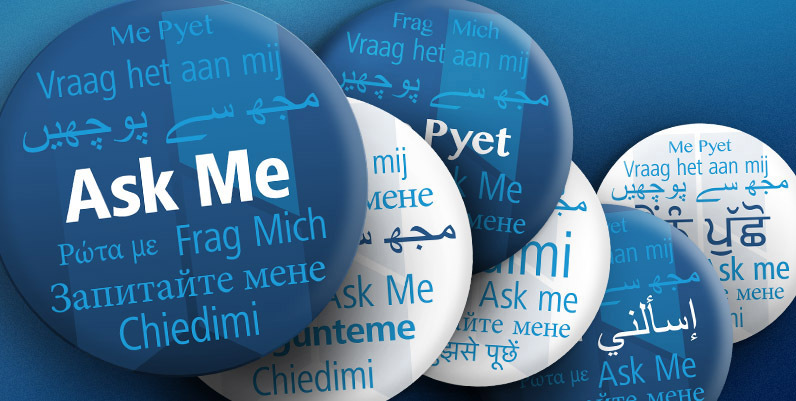 Keep an eye out for HPL staff wearing an Ask Me button with the language that they speak. For more information on translation assistance, please speak with staff at your local branch.